If you are planning a trip to Vietnam, then you should not skip Ho Chi Minh (Hồ Chí Minh) City. Today, Ho Chi Minh City is the big tourism center in Vietnam, attracting a large number of visitors annually. Also formerly known as Saigon (Sài Gòn), Ho Chi Minh City is truly a mecca for those shopping enthusiasts. 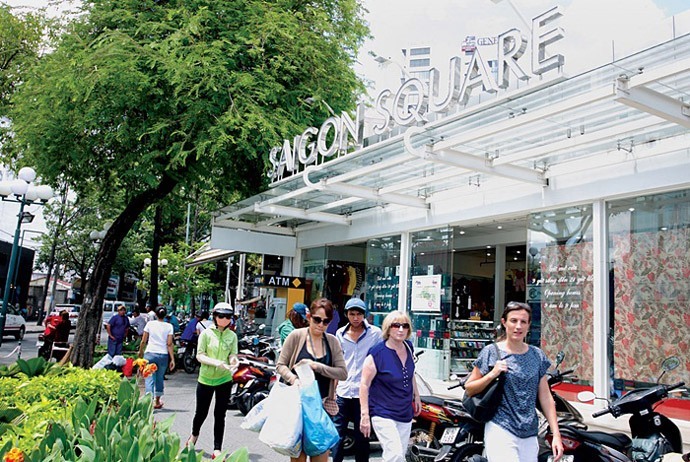 When it comes to shopping in Ho Chi Minh City, this is a fun place to shop for bargains. Everything from handicrafts to imitation brand name clothes and shoes are available at a fraction of what it might cost overseas. 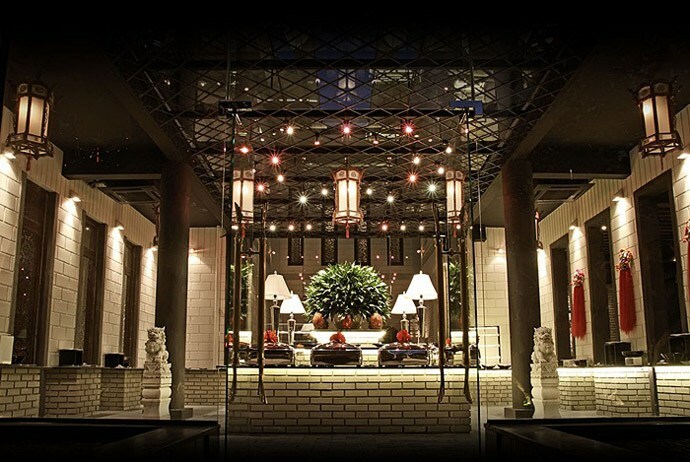 Because tourism has increased recently in Ho Chi Minh City, the establishment of trendy boutiques catering to the tourist crowd also increases. Nonetheless, you could find the same treasures in many shopping areas throughout the city. In order to guide you in your shopping adventures in Saigon, in this post, we provide you with some useful tips on shopping in Ho Chi Minh City. Yet, before you discover the ideal destinations for shopping in Ho Chi Minh City, it is necessary for you to acknowledge what to buy in this vibrant city. Take a look below! Vietnam is a manufacturing country in the world so imitations of brand name clothes, in fact, are generally cheaper than the normal retail price. In Ho Chi Minh City, you could find both high end brand clothing and mall brands such as American Eagle Outfitters, Old Navy, Gap and more. Actually, handicrafts are so popular gifts readily available in Saigon, in particular, and in Vietnam, in general. There are a lot of types of handicrafts here, like lacquer ware, embroidery, vases, rosewood boxes, trays, wood-block prints, reed mats, ceramics and leather work, and watercolor paintings. Tourists can easily get them in this city. There are different souvenirs in Saigon for tourists to choose from, such as statues, magnets, chopsticks, and more. In Ho Chi Minh City, magnet often has different shapes. It could be a kind of Saigon like jack fruit, coconuts, mangoes, or the dragon fruit. It could be also a shape of traditional Vietnamese woman in “Ao dai” (Áo dài) – traditional costume of Vietnam. Besides, chopsticks are also considered as a popular souvenir tourists can buy in Vietnam. They are very special due to the material which they are made of – which is often special wood in Vietnam. Those souvenirs could be easily found in Saigon. When shopping in Ho Chi Minh, you certainly could not miss “Ao dai” – the Vietnamese traditional dress. 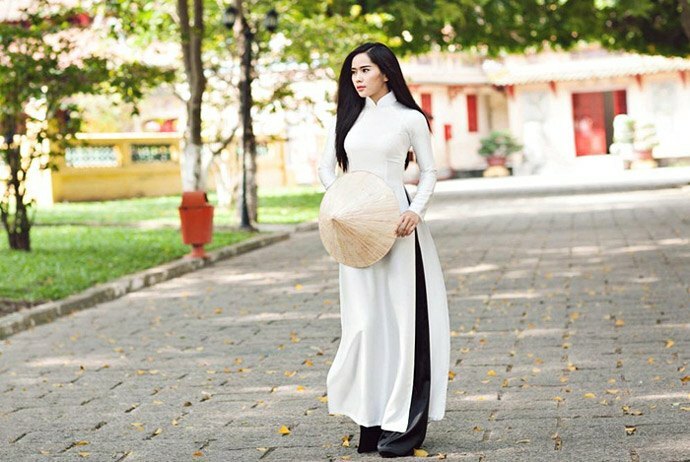 Being famous for the unique design, Ao dai is said to make the body of a woman look more attractive and beautiful. Tourists can easily purchase Ao dai in many tailor shops in Saigon. Visiting those shops, you could opt for the kind of material you love with your favorite color as well as beautiful patterns. After that, the tailor will jot down your own body’s measurements and make you an “Ao dai” as your own wish. Normally, the span of waiting time is not too long. Even in some places, it just takes 3 – 4 hours to get such a pretty one with really high quality. 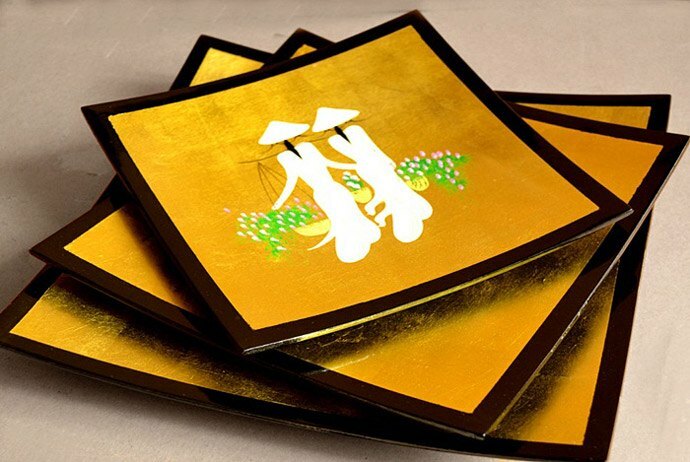 One of the most special presents in Vietnam is sand paintings. With sand paintings, the artists use sand to pour in the cup in order to make certain beautiful pictures. Those stuffs need the strong concentration as well as skillful hands to successfully paint the picture. When looking at the sand paintings, you will be impressed with each work of this art and of course, give your huge admiration to the artists. I believe that the receivers of your presents will also have the same feeling like you. The pictures which are made of sand are often about the daily lives of Vietnam. It could be a house in the suburb with the coconut trees, the fields with buffaloes and cows, the rivers. Or, it could be a normal day of hard working in a field of the farmers or a picture of beautiful Vietnamese girl in Ao dai that gives you the feeling of cute and peaceful. There are many choices for you to buy sand paintings, you could buy them right from the shop or you could opt for your favorite picture from the given catalogue and order it at the store. After a few days, you will receive it from the artists. 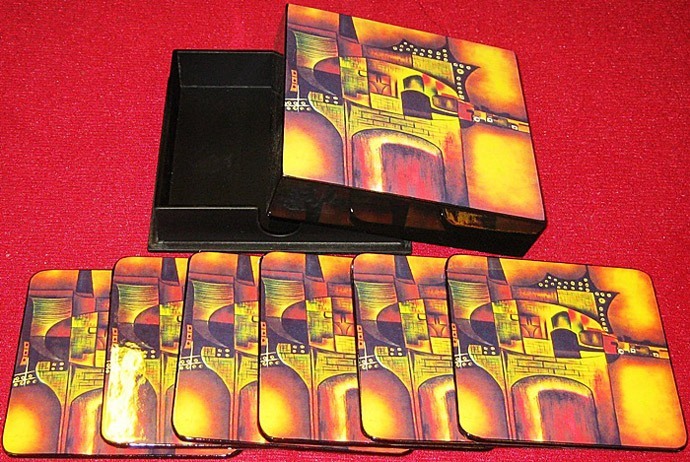 Sand pictures are often sold in some famous shops like Y Lan (Ý Lan) sand pictures and Van Thien Sa (Vạn Thiên Sa) sand pictures. In general, the prices are reasonable so you could be a unique, beautiful souvenir from Ho Chi Minh City easily. 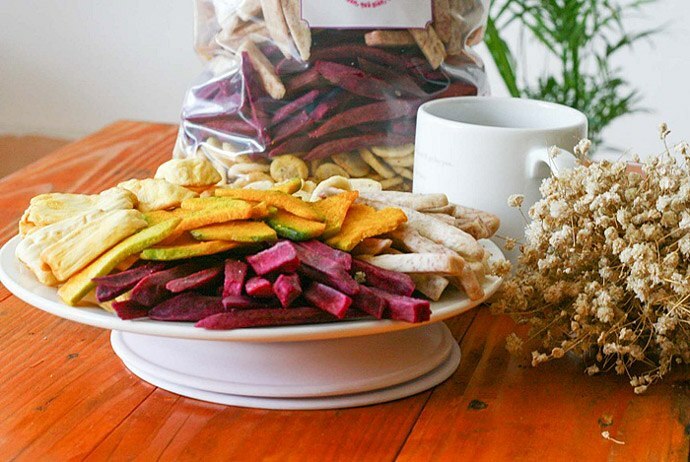 When it comes to what to buy when shopping in Vietnam, do not forget to bring your home dried food. With various types of dried food from the spicy, salty ones to the sweet ones, you have many choices to opt for. The most popular ones in Saigon might be dried squid, dried fruits like jack fruit, banana or coconut, and dried beef. However, note that your country might not allow animal-related products. This is a really good idea for such a tasty, unique gift as it will bring you the chance to enjoy the taste of Vietnamese food – something that is particularly special about Vietnam. Who knows, you may miss it when coming back to your hometown. Now, it is time for you to discover where to buy upon shopping in Vietnam. 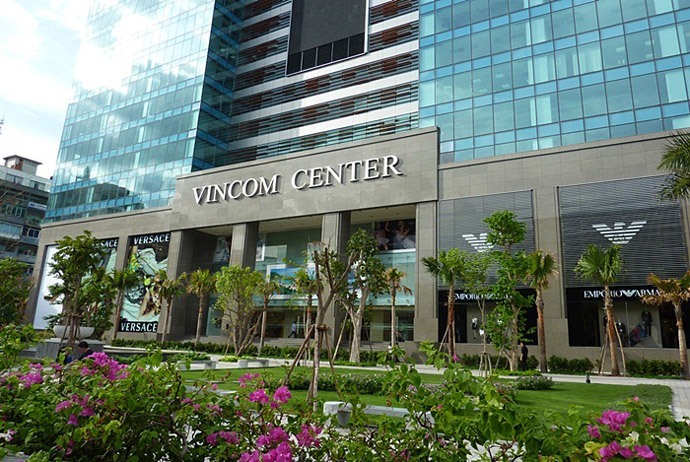 Being completed in 2010, Vincom Center has rapidly become one of the biggest shopping malls in Saigon. Vincom Center is situated at the center of the city. This building is very big with a number of floors covered with glass. The building easily stands out from the rest of other Saigon skyscrapers due to its marvelous exterior designs attracting lots of attention from afar. From the outside, its appearance somehow reflects what kind of shopping venues Vincom Center is. With over 250 shops, Vicom Center is separated into two buildings across the street from each other (Vincom Center A and Vincom Center B). If your shopping purpose is fashion and you are looking for international products, then Vincom Center should be your first stop as this is where most international luxury brands have their flagship stores, right in the tourism heart of this vibrant city. Here, you will discover the latest trends of brand names. Some famous brand names in Vincom are Armani, Louis Vuiton, Jimmy Choo, Mango, etc. In addition to brand names, it also has other well-known names brands for many types of goods, like accessories, jewelry, toys, make-up products, and shoes. Also having a dining section with a wide range of foods, Vincom Center spends the basement floors for food. Here you can easily enjoy all types of cuisines from Vietnamese traditional food such as Pho 24, typical Western fare such as Breadtalk or Popeyes, and Chinese food. Additionally, there are other kinds of desserts and drinks in the food court of Vincom like Highlands coffee, Bud’s Ice cream, etc. Similar to shopping, in regard to games, Vincom boasts itself for owing the biggest and also most modern center for games in Ho Chi Minh City. Tourists can visit the game center in Vincom to experience new-updated exciting games, particularly air hockey or car racing. Also, there is an area specially designated for young children, named The Fairy Garden. Despite the price could be much high in compared with the normal living standard of Vietnamese, it is not necessary for you to be rich to visit Vincom Center. At the weekends, a lot of Vietnamese families and tourists come here to enjoy the marvelous and beautiful architecture beside yummy food and clothing stores. Like Vincom Center, Parkson also stands out due to its noticeable design of architecture. 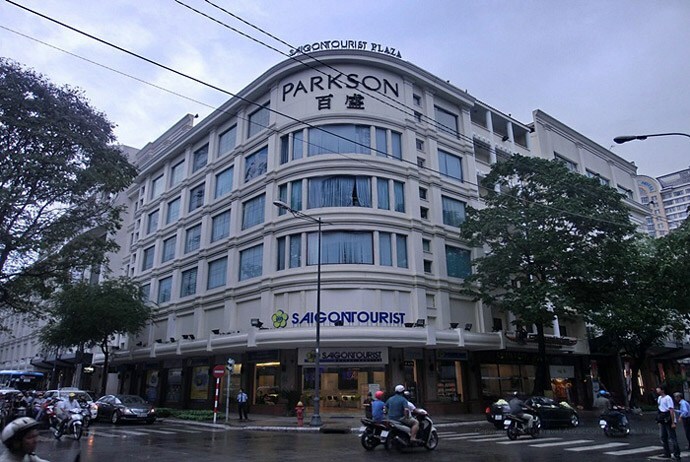 Parkson has totally 8 modern and successful department stores in Vietnam including 5 in Saigon. The latest one in Saigon and the latest one finished in 2010 is situated on Le Dai Hanh (Lê Đại Hành) Street, District 11. Similar to Vincom, Parkson Tower offers premium products with many famous brand names for fashion like Esprit, Giordano, Adidas, Converse, watches like Tiscot, Casio, and make-up products like Lancome, The Face Shop, and more. In compared with Vincom, the retail prices of Parkson are a little less expensive. Visiting here, tourists could also enjoy a lot of kinds of food like KFC, Japanese Kitchen, Lotteria, and Thai Hot pot. The food court in Parkson is, in fact, not as big as Vincom; however, one special thing about the Parkson Hung Vuong (Hùng Vương) situated on Hung Vuong Street, District 5 is exactly the Magastar Cineplex cinema. This is reckoned one of the biggest movie theaters currently in Vietnam. 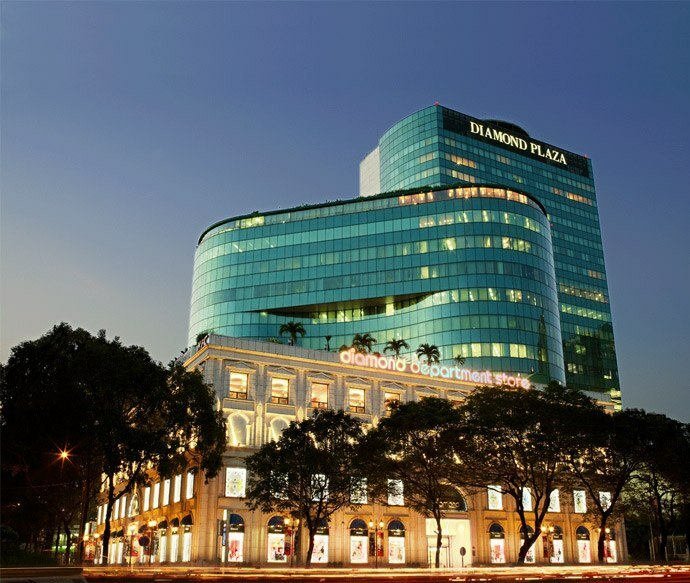 One of the biggest department stores for shopping in Ho Chi Minh City is Diamond Plaza which is surrounded by many of the most attractive sites of the city, such as the Notre Dame Cathedral. Diamond Plaza is older than Vincom yet still attracts a lot of fashion enthusiasts visiting daily. Being housed in a charming colonial-looking building, Diamond Plaza hosts different famous brand names for accessories, clothes, cosmetic products and toys. There are many reasons to visit this shopping mall. Another major reason for choosing to visit Diamond Plaza is the areas for family entertainment like the large bowling alley. Superbowl Vietnam is colorful and modern with flashing lights along with loud clatter of pins which are popular in bowling alleys across the world. You do not need to be a rich person in order to buy products here. The goods that Diamond Plaza offers are suitable for many classes; therefore, this makes Diamond Plaza more popular to many shoppers. Similar to other shopping malls, Diamond Plaza also hosted a food court along with a game center. Nonetheless, Diamond Plaza’s food court is a little special in compared with others’. You could find most of the foods on the third floor, yet if you want to enjoy fast food typical fares like Pizza Hut or KFC, you need to go upstairs. Furthermore, Diamond Plaza, among many destinations for shopping in Ho Chi Minh City, has Lotte Cinema on the 13th floor – one of the biggest cinemas in Saigon currently. Here, you can see the latest movies with the most modern facilities. To sum up, Diamond Plaza is a famous shopping spot in Ho Chi Minh City that cannot be missed. 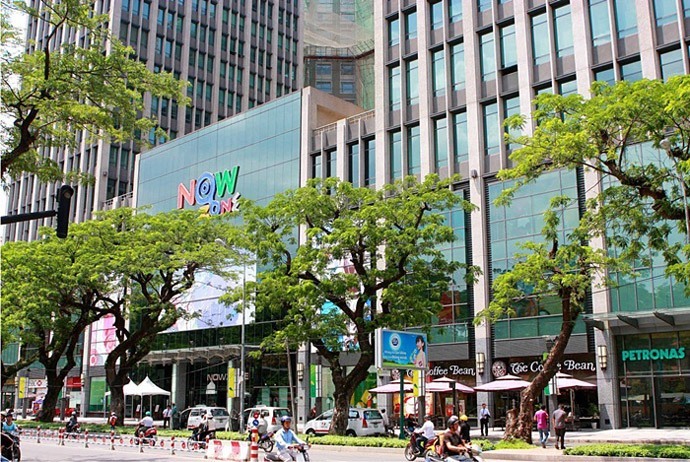 In regard to ideal places for shopping in Ho Chi Minh, Nowzone shopping mall, located at 235 Nguyen Van Cu (Nguyễn Văn Cừ), District tends to be popular among Saigoneses. It looks more attractive at nights with lights hanging on the trees surrounding the shopping mall. In compared with other shopping malls such as Vincom, Parkson, or Diamond, Nowzone may be suitable for average budget shopping enthusiasts. Nowzone hosts many well-known brand names of the foreign fashion designers such as Lee, Zara, Levi’s, in addition to a good selection of Vietnamese brand names such as Matanna and Ninomax. 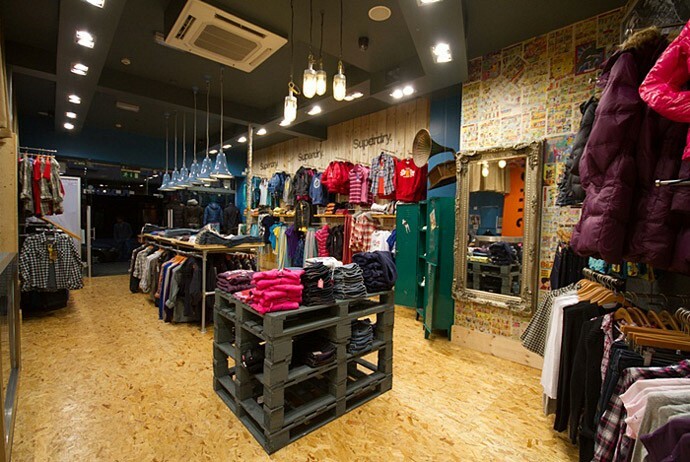 A lot of stores inside Nowzone are decorated with colorful mixed clothes that are suitable for teenagers. That is the reason why this shopping mall attracts a large number of teenagers and students coming. The first floor of Nowzone is for fashion, the second for accessories, and the third for toys. The fourth is for food court which is not as big as others’. Nevertheless, Nowzone still provides visitors with a wide array of options of many types of foods. In order to enjoy food here, you have to buy a card initially which is deducted each time you purchase food in this food court. 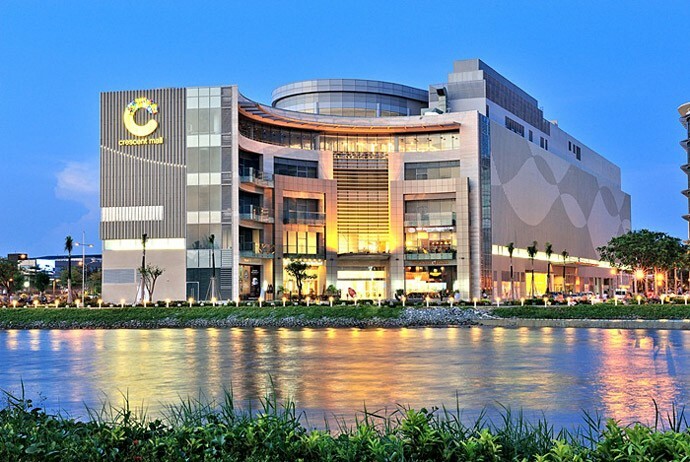 One of the core values of Crescent Malls among many malls for shopping in Ho Chi Minh is its quality and this is instantly obvious right in the design. Actually, the high quality build of this shopping mall has been well maintained throughout. The façade of The Crescent is impressed with waves, thereby giving this mall an extremely distinct look, especially in the evening as the waves are magnified via various light creatures. Surrounded by greenery, landscaping, water fountains and open walkways which further add to the beauty of the mall, the Crescent is best experienced from the 6th floor terrace, which allows you to capture breathtaking views of Phu My Hung (Phú Mỹ Hưng) area. Besides, inside this mall, the atriums offers visitors full view of every floor and encourage them to enjoy their shopping time in a wide open environment. This shopping mall is fully equipped with services and facilities making shopping here easier and much more convenient, including both 3 levels o the secure basement parking, the outdoor parking, abundance of escalators and lifts which service every floor and the Information Desk. In Ho Chi Minh City, the most central of all markets is Ben Thanh Market, surrounding streets of which comprise one of the liveliest areas of the city. Located in downtown Saigon, bustling Ben Thanh Market in District 1 is really a great place to buy local handicrafts, Vietnamese art, branded goods, and other souvenirs. Even though Ben Thanh Market is not a modern shopping mall, it is still a big shopping venue in Saigon. 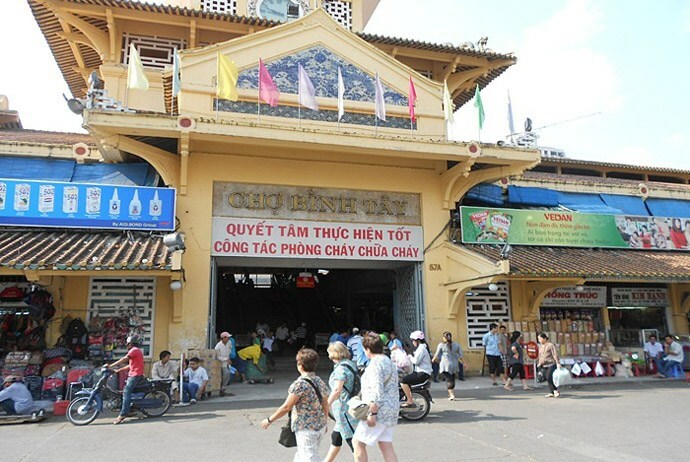 With the reputation of a “historical destination”, Ben Thanh market often attracts a lot of foreign tourists when visiting Ho Chi Minh City. In this market, there are many types of goods sold daily. You could see many beautiful clothes like shorts, T-shirts, dresses, jeans; particularly the traditional Vietnamese custom – Ao dai. Moreover, you also find a lot of special designs of Ao dai which could not be found anywhere else. Other goods like house-wares and accessories could also be found here. The food area at this market provides people with different traditional types of authentic traditional food of Vietnam, though its sanitary conditions may not be up to the required standards of modern shopping malls. Chefs will cook right in front of you with such an endless array of cuisine options including vegetarian noodles, crispy rice pancakes, steamed cakes, and fresh seafood. In addition, tourists can find a variety of souvenirs featuring typical Vietnamese culture. That is the reason why it attracts international tourists so much. Nevertheless, because it serves foreigners as primary clients, the price at this market tends to be much more expensive than others. Thus, it is a good idea for tourists to bargain the prices in order to get good deals for buying goods. One of the oldest landmarks of Ho Chi Minh City, Ben Thanh offers tourists a great atmosphere that is definitely & authentically Vietnamese. Also known as Cholon (Chợ Lớn) Chinatown market, Binh Tay market is situated in District 5 in southwest of Saigon’s downtown. Aside from cultural and historical aspect of Cholon, the central market named Binh Tay is a fascinating source of handicrafts, textiles, lacquerware, and fresh goods including a lot of wonderful and weird exotic fruits. To put in simple words, Binh Tay Market is hot, chaotic and a lot of fun for both locals and tourists. Considered as the largest Chinatown of Vietnam, Cholon nowadays is a popular site that attracts a lot of Taiwanese and Chinese tourists. With a classical Chinese architectural-style building, this market hosts plenty of Chinese restaurants. The centre of Binh Tay market is crowded, bust and messy with many small aisles selling various types of goods. 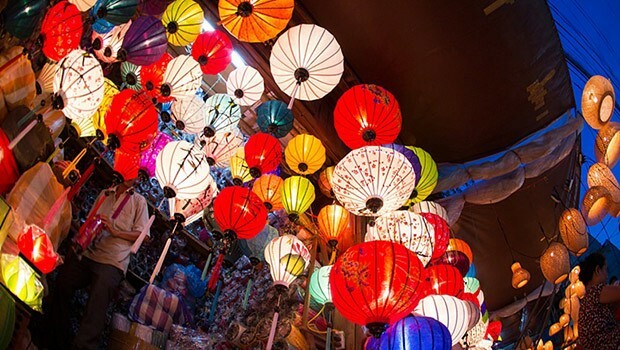 To be honest, though this market sometimes disappoints visitors if compared to other markets in Saigon because the products sold here are not varied, the main draw to Cholon is actually not to shop, but to enjoy the traditional, authentic Chinese atmosphere that has existed here for a long period of time. Really, it is a wonderful place for visitors to experience at night. Here, you will find everything that you could think of, from fresh fruits and vegetables to Vietnamese goods and particularly items flavored with Chinese taste. When visiting Binh Tay Market, you also can discover many attractions here, such as Thien Hau (Thiên Hậu) Temple, Quan Am (Quan Âm) Temple. Both of these temples feature with admirable Chinese-Buddhist style architecture as well as interiors with courtyards, pagodas, paintings and altars. Chinatown, on the other hand, is home to the small Catholic cathedral on the Duong Hoc Lac Street and Cholon Mosque on Nguyen Trai (Nguyễn Trãi) Street. If after shopping around Binh Tay market, you want to eat something out, there are many choices for you to enjoy as a lot of authentic local restaurants and cheap street hawkers located here. 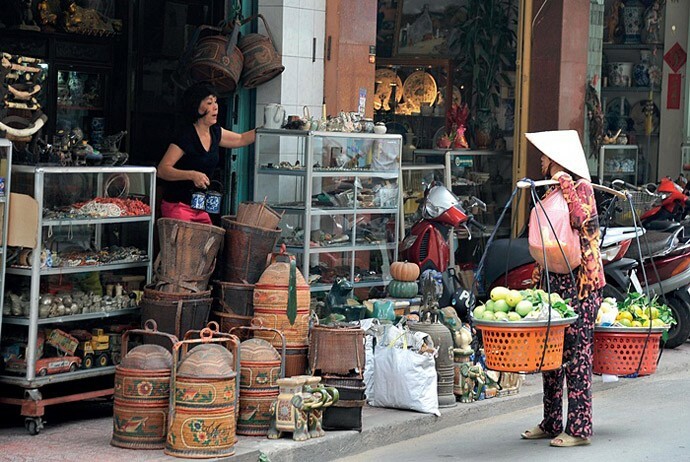 Combining shopping and exploring in Binh Tay market is a good idea for tourists. Despite it is a wholesale market, Cholon also sells retailed goods. The most popular items are Vietnamese silk, hand-embroidered clothes, lacquerware, and skillfully woven textiles, in addition to delicious tropical fruits. Just simply enjoy shopping and eating here. Yet, remember to wear good shoes and light clothes to make your trip more enjoyable and comfortable when visiting Binh Tay Market as it could be hot and very crowded most of the time.Trust me, it brings such a great experience that you might not be able to experience anywhere else. Keep reading this detailed list to discover more great places for shopping in Ho Chi Minh that will strongly satisfy your wish list! 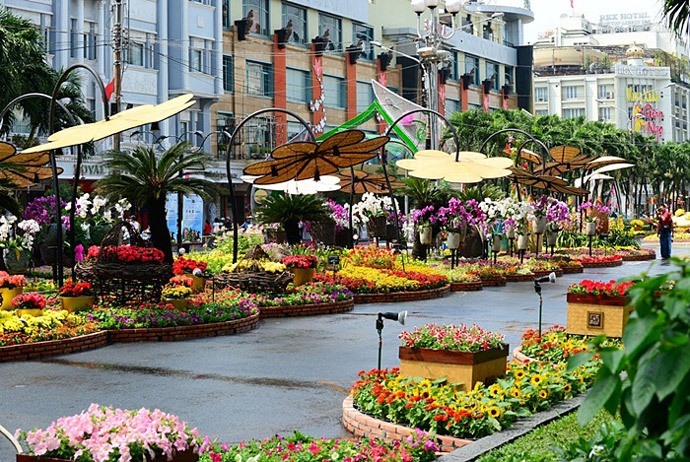 One of the main areas for shopping in Ho Chi Minh City is Nguyen Hue (Nguyễn Huệ) Street – also known as Charner Boulevard during the French period. This street has the largest concentration of Saigon’s hotels. Nguyen Hue Street is housed of many shops as well as souvenir stalls along with the budget lucky plaza. Some of the most modern hotels of Saigon are situated here such as Kimdo, Duxton, Palace Hotel, the Iconic Rex Hotel, Oscar Hotel, and more. Here, you could buy assorted souvenirs at a variety of souvenir shops lining the street and they are rather cheaper than if purchased in Ben Thanh Market. You can buy paintings, export overruns and counterfeit branded items here. Read more: Is Vietnamese food healthy? Sai Gon Square Mall, one of the most popular places for shopping in Ho Chi Minh, is the chain of shopping centers scattered throughout the city of Ho Chi Minh City, despite the price is probably the same. Anyone who is looking for bargains whilst in shopping in Ho Chi Minh should head to Sai Gon Square as it has many market stores inside. There, you can find clothing, coats, jackets, and other equipments. Even though it is always bustling with shopping enthusiasts, it is air conditioned and under cover so it is far more pleasant than shopping in the Ben Thanh Market nearby. Generally, stalls and shops in this shopping mall are placed haphazardly around so the best thing to do is strolling along the aisles in order to look for something that you might be interested in. Bargaining is totally accepted here. If there is something that you want to buy, shop around and enquire about the prices because it is rather easy to find other shops selling similar items. Simply consider the amount of money you would like to pay for a certain item and start bargaining accordingly. 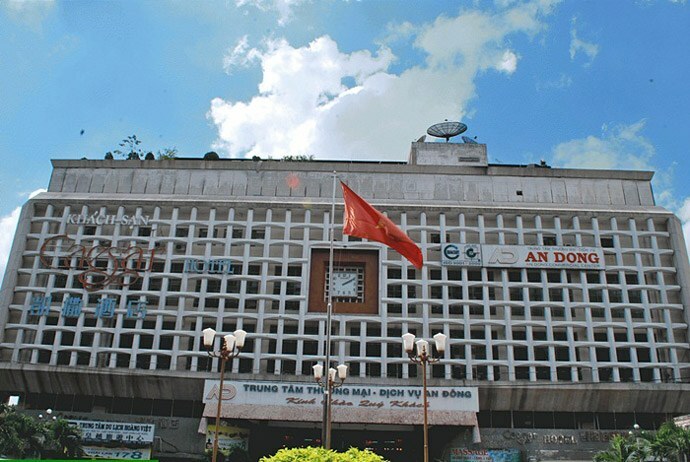 Sai Gon Square has two branches, one on Le Loi (Lê Lợi) Street and the second at Ton Duc Thang (Tôn Đức Thắng) Street, close to the river. With the second branch, the setup is similar to the first one, despite it is smaller and a little more dated. However, if you are looking for male fashion, then Sai Gon Square might be not your good option as the male fashion is a little underrepresented at both branches. Yet, if you are looking for female discount fashion, this should be at the top position in your shopping list. This is a good source of fashion wholesalers for Saigoneses but on the top floor there are a lot of craft stalls located, making it one of the best destinations for shopping in Ho Chi Minh City to purchase handicrafts from the skilled artisans. 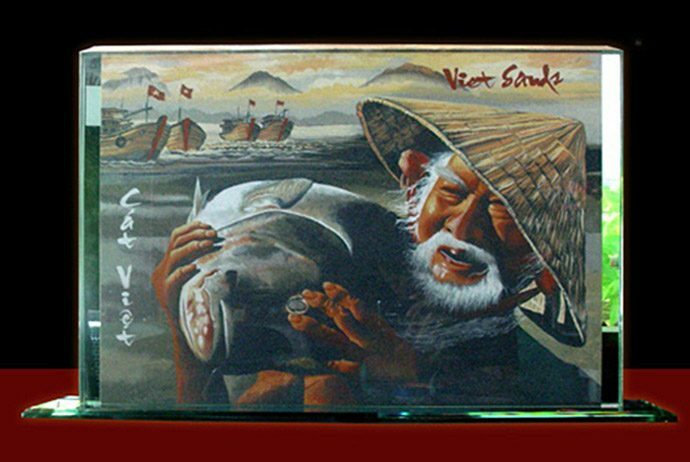 Those artisans practice the proud heritage in woodwork and lacquer of Vietnam. Situated outside the city centre, the An Dong Market is in the west of Saigon. Yet, it is easy to get there by a taxi. With over 10 minutes, you can get An Dong Market from downtown Saigon. Location: An Duong Vuong (An Dương Vương) Street, next door to Windsor Plaza Hotel, District 10, Ho Chi Minh City. For those who are looking for the best place to buy antique items, then Le Cong Kieu Street, opposite Ben Thanh Market will be an ideal choice. This street features with many small shops selling original art objects and antiques. Unluckily, you have to beware that the things touted as antique here might be an imitation or fake. However, regardless, the sold items here are inexpensive and coming here is deserved a worthy treasure hunting trip for seekers of eclectic home decorations. Stretching 100 meters, this street allows you to uncover cool vases as well as ceramics, statue figures, Buddha images, Asian-style food containers, ivory items, and vintages finds, such as money, coins and old electronics items like TVs, radios, and lamps. Who knows, you might find a diamond during your rough hunt. However, it is worth noting that it is illegal to export true antiques out of Vietnam anyway. Nguyen Cong Tri is a designer with worldwide fame for the cutting-edge but elegant females’ line that he offers. Actually, Nguyen Cong Tri is a self-taught visionary fashioner in Ho Chi Minh. Nguyen Cong Tri personally teaches his growing atelier to create the designs from laboriously-sourced fabrics, and create fashion-forward designs which are infused with tradition. His name is one of the hottest names among fashion designers in Vietnam. For fashion lovers, shopping in Ho Chi Minh is really easy. So, if you want to bring home a desirable fashion design after travelling to Vietnam, this is your great choice. Here, it might take up to 10 days if you order for the most technical pieces. Location: 194 Nguyen Dinh Chieu (Nguyễn Đình Chiểu) Street, District 3, Ho Chi Minh City. One of the most famous fashion as well as homeware boutiques that create modern and creative designs from the luscious silk fabrics of Vietnam is Khaisilk. Beginning with just one shop, Khaisilk nowadays becomes a brand spreading its reputation overseas. Situated on Dong Khoi Street, the fashionable street, you can come to Khaisilk to buy silk scarves, shirts and blouses, ties in both muted daily tones and even more flamboyant hues which has won them many fans worldwide. Reputedly, this is the shop where the Princess of Thailand shopped for sheets, scarves, and many other luxury silk items. Another reason why you should not skip Khaisilk if you get some silk items of Vietnam as gifts is that the hanger fashion could be tailored here at very little or even no extra cost. Location: 107 Dong Khoi (Đồng Khởi) Street, District 1, Ho Chi Minh City. Saigon, nowadays, is Vietnam’s most lively city, and developing at a rapid rate. 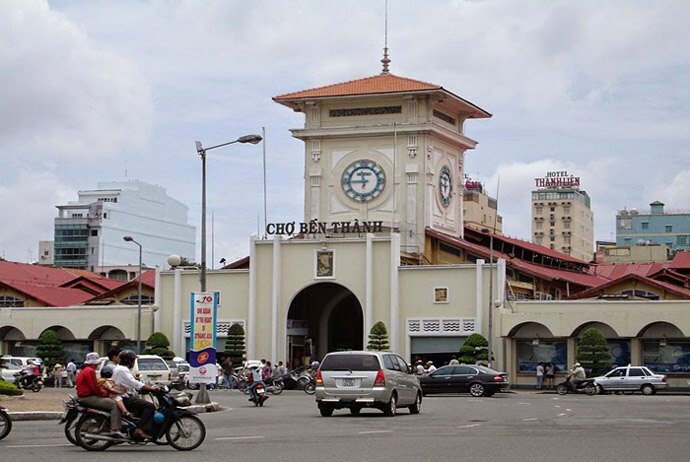 If you are planning to visit Ho Chi Minh City for a limited span of time, you could visit either Ben Thanh Market, Saigon Square or An Dong Market for an one-stop shop experience. Keep in mind that Ben Thanh Market, not mention to convenience, could be much more expensive than other markets because of its central location as well as frequency of both local and tourist shoppers. To put in conclusion, Ho Chi Minh City is truly a wonderland for shopping enthusiasts. The shopping environment of this vibrant city is suitable for every style, budget as well as wish list. Having a wide range of shopping venue options, from impressive, specialized large stores, to modern malls, cute and small boutiques, and markets, tourists have multiple choices when shopping in Ho Chi Minh City. There is really nothing better than bringing home gifts for your loved ones and also some personal travel souvenirs of matchless and distinctive items that you have hunted down in a foreign Asian land like Vietnam. Not too much sounds cooler than, “Oh yeah, I got that at a boutique in Ho Chi Minh City.” We hope that our guide for shopping in Ho Chi Minh above help give some useful ideas for your upcoming shopping adventures so you could maximize your pleasure while visiting Ho Chi Minh, in particular, and Vietnam, in general in the near future. Did I miss any great tips on shopping in Ho Chi Minh? Share your own thoughts with us by dropping words below this post. We love to hear your voice! Ho Chi Minh nightlife – what to do in the evening in Saigon?